The procedure during the initiation of cultures needs specific registration and additional information. 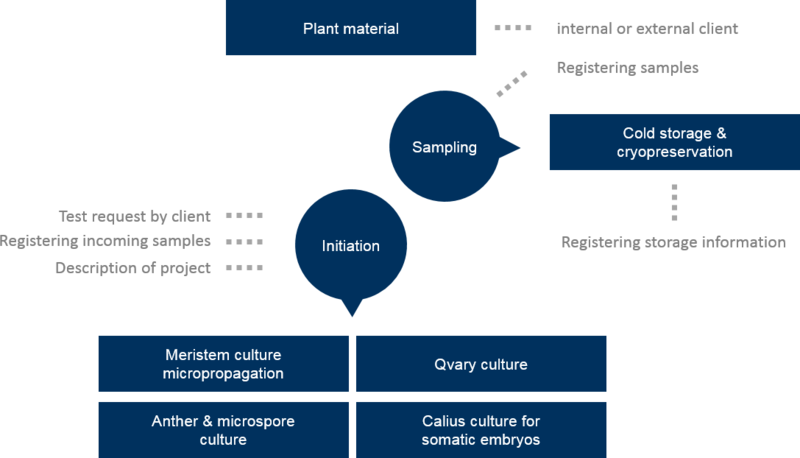 To this process belong therefore dates about mother plants and cloning of different meristems, as well as separate statistic about conditions in establishment and medium. This module will completed with an archive of initiation for evaluations about successful and unsuccessful initiations.